Henna is a natural powder used by people for decades. It is the finest ingredient among the cosmetic items. It provides beauty and enhances one’s personal appearance. Its feel is fine and can be applied on hair as also all over the human body. Henna is a small shrub native to West Asia and North Africa and it is also abundantly available in India , especially in ‘Rajastan’ (Sojat) . Its botanical name is ‘Lawsonia Inermis’. It is also known in other names like Henne, Mehandi. Herbal Henna is manufactured to give more shine to hair and body. It is enriched with Indian Ayurvedic herbs like white sandal, rose petal, shikakai and so on. Regular use of herbal Henna darkens hair, acts as a natural hair conductor, controls dandruff and prevents hair loss. Chemists have developed incredible natural herbal hair colors by mixing Henna with the pigments from other plants without using any chemicals. 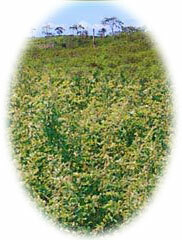 ts botanical name is ‘Fera Tinctoria’. 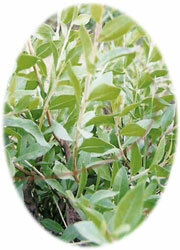 It is hundred per cent pure herbal leaves that give deep blue color. In some countries it is called ‘Wasma’ (Arabic & Urdu). Typically Indigo plant is seen one to two meters long. When it is used for staring, it gives deep green color till 24 hours, after 24 hours it converts into deep blue. Indigo normally forming is done for a medical and fabric dyes. MATHA EXPORTS INTERNATIONAL is the only company, which exports pure Indigo. Our products have gained immense popularity in the market. We provide 100 gms, 500 gms, 5 Kg and also in bulk quantities in accordance with the customers’ specifications. Preferably we use Aluminum, Golden vinyl water proof pouches for powder items. We manufacture the Henna-based cosmetics to fulfill the needs of our customers.